The Hannah Gas Lift Queen Size Bed Frame is a timeless and elegant bed choice for the home. View the full Hannah Collection here and see the full range of bed combinations and styles on offer. Smart and stylish, the Hannah Gas Lift Bed Frame features a convenient and generous storage space within the base, accessed by an easy to use function. 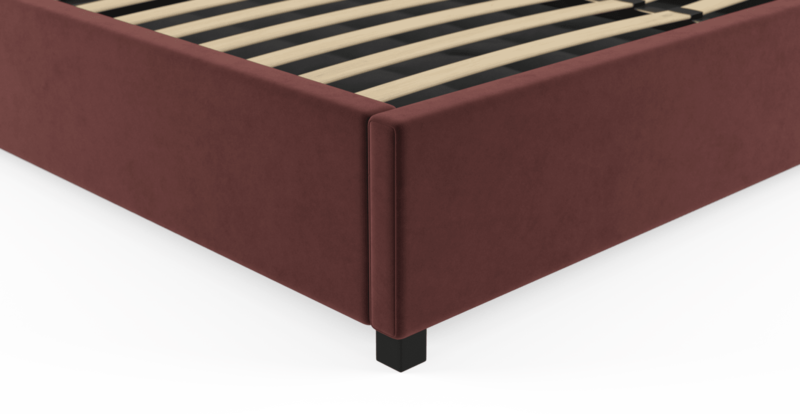 The Hannah Bed Frame is on offer in a range of premium colour options, everything from deep rich shades to easy to match neutrals. 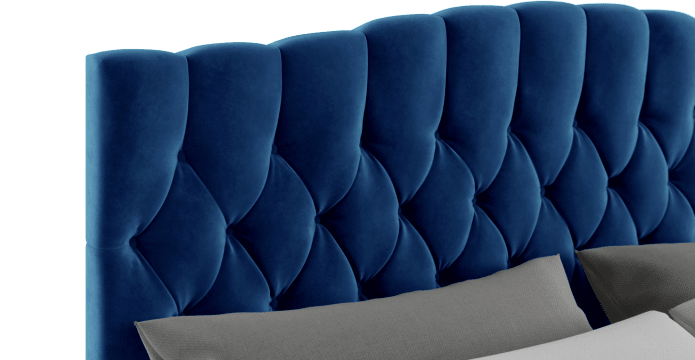 The upholstery comes in Brosa's high quality Signature Premium or luxurious Warwick Mystere Velvet. 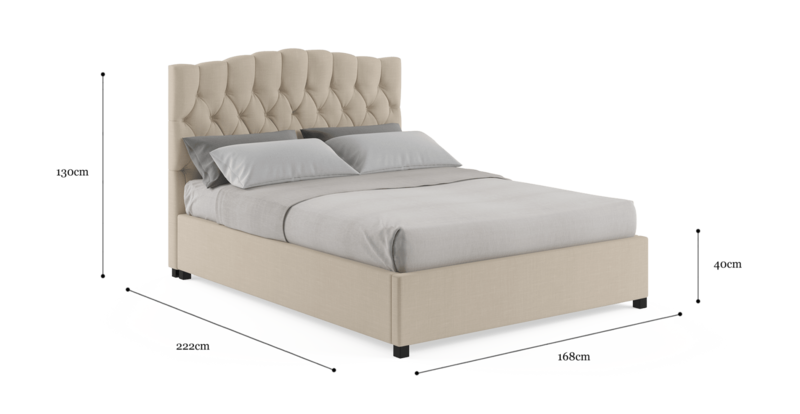 With a beautiful sweeping silhouette, the Hannah Bed Head has sophisticated diamond tufting, accented by matching buttons and filled with a Medium Density Foam filling for an ultra soft touch. We have ordered through Brosa 6 upholstered dining chairs, a matching couch, 2 bedside tables, a bed head and gaslift bed base. All products have been fabulous. Very happy with the quality, the aesthetics of the furniture, the prices and how they have been delivered. We will continue to shop at Brosa for our furniture needs. Very happy with our Hannah Gas-Lift bed in ocean blue velvet. Brosa were very accommodating with delaying our delivery by a few weeks, until we had moved into our new house. We also needed to reschedule delivery another few times due to work schedules and Brosa were extremely accommodating with this too. See, touch and feel our fabrics used on our Hannah Queen Gaslift Bed Frame. For Free! Simply select up to 3 fabrics and add them to your cart. Delivery is on us.